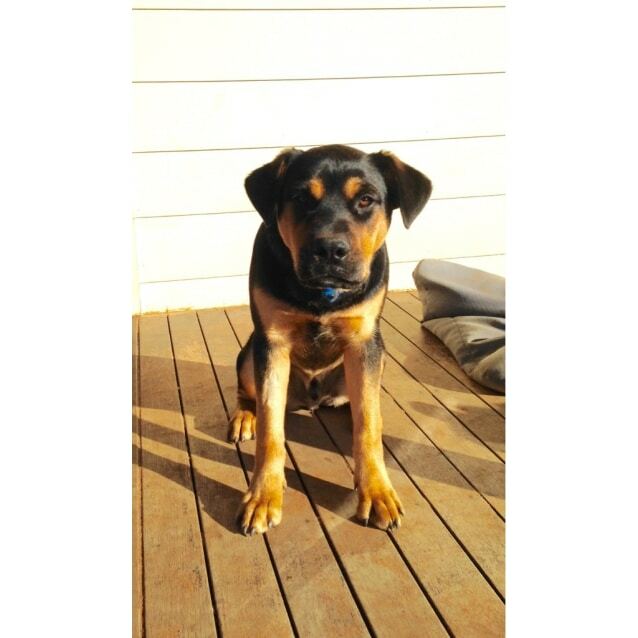 Contact Carolyn Dufty at Sunraysia Animal Rehousing Group to express your interest. 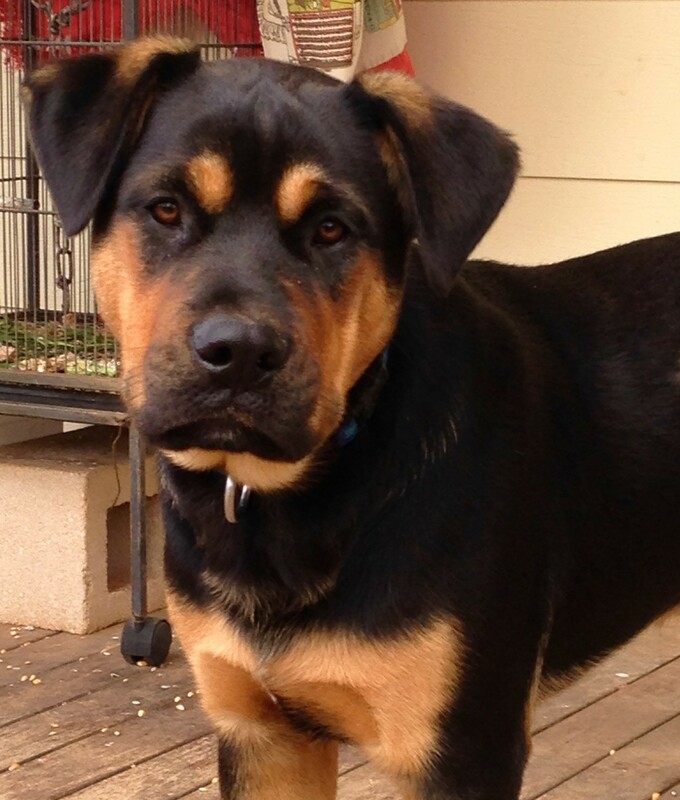 Another successful adoption - amazing work Sunraysia Animal Rehousing Group! 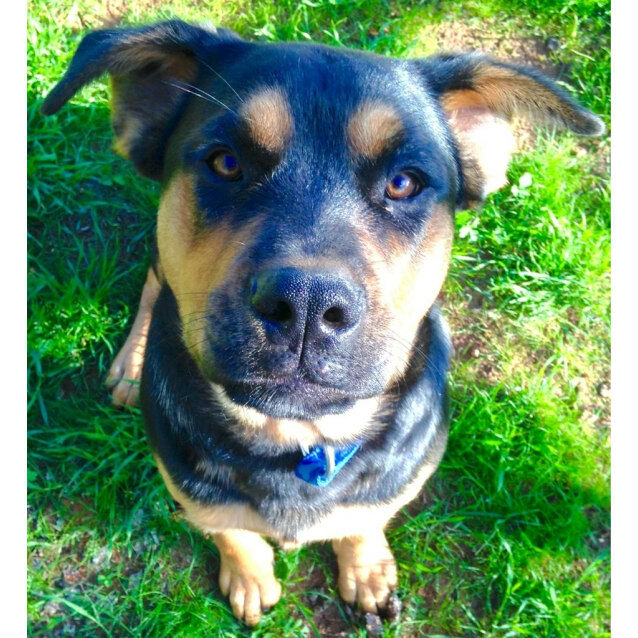 More successful adoptions - amazing work Sunraysia Animal Rehousing Group! *ROCKY IS CURRENTLY TRIALING HIS NEW HOME - NO MORE ENQUIRIES/APPLICATIONS PLEASE* Hi everyone - my name is Rocky! Apparently there was a film made about me years ago with some bloke named Sly in it ... it was the story of someone who got a second chance to do wonderful things, just like me! I am much better looking than Sly though, in my own opinion of course - and I bounce around on my toes more than he did! Actually, I am pretty bouncy all of the time - nothing beats bouncing .... other than pats or cuddles, oh - and yes, there is cheese and chicken necks – mmmmm! I am mainly rotti apparently, but have a bit of staffy in me - whatever that means. I'm gorgeous anyway - just look at my eyes! 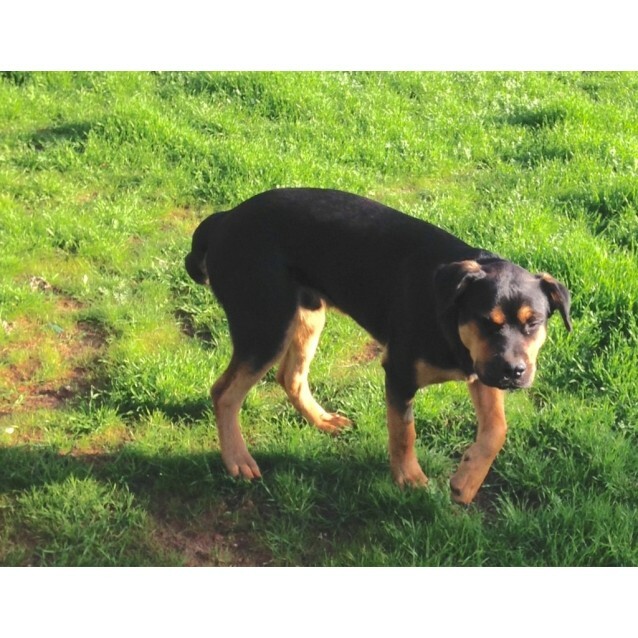 I am only a young bloke - around 7 or 8 months, but I am going to be a big fella when I grow up - my foster mum says my feet are the size of dinner plates! I can't see the problem - you know what they say about big feet ..... yep - big heart! 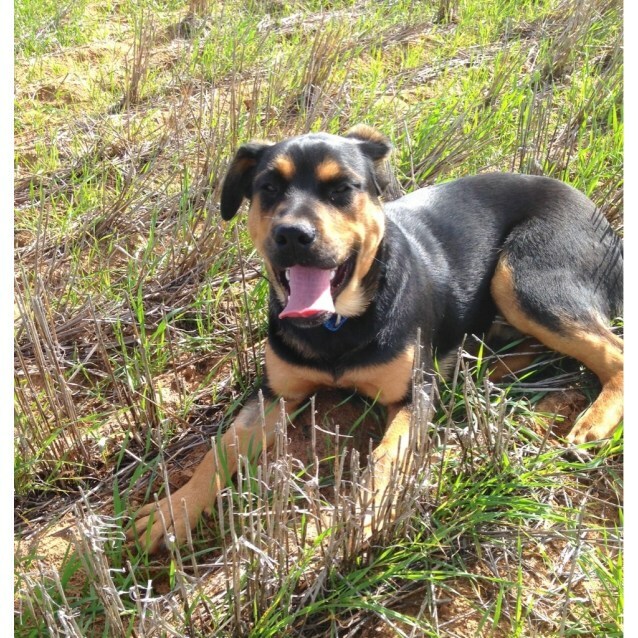 I am living on a huge farm in North West Victoria with lots of dogs and other critters. I love them all and have a ball playing with the other dogs - but decided in my old home that cats were really only good for one thing - chasing! Kids are great too - they give good cuddles and like getting dirty with me, but as I am growing and quite strong I think I would be best in a house with older, sturdier kids who don't fall over when I bounce at them. It happens - I still haven't quite got the hang of my size yet - and please don't laugh when I try and crawl onto your lap for a snuggle, I can't possibly be as big as you think! I would be a very loyal and loving dog to have in your family, and if you need someone to give a big deep bark when someone knocks on your door or pulls up in a car I am happy to help out with that too. My foster family are great, but I'd love to have furever people of my own - do you think I would fit into your family? Let's see! We can bounce together!! 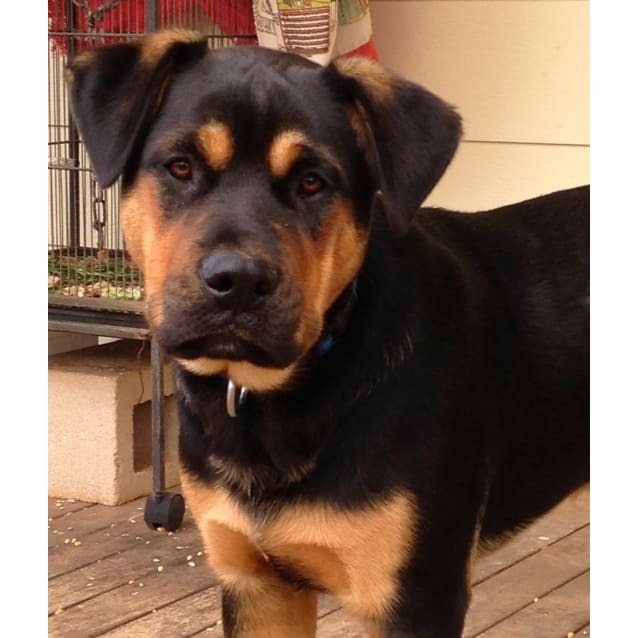 Rocky is desexed, microchipped, C5 vaccinated and wormed. Weight: 29.1kgs (as at 28/06/16).